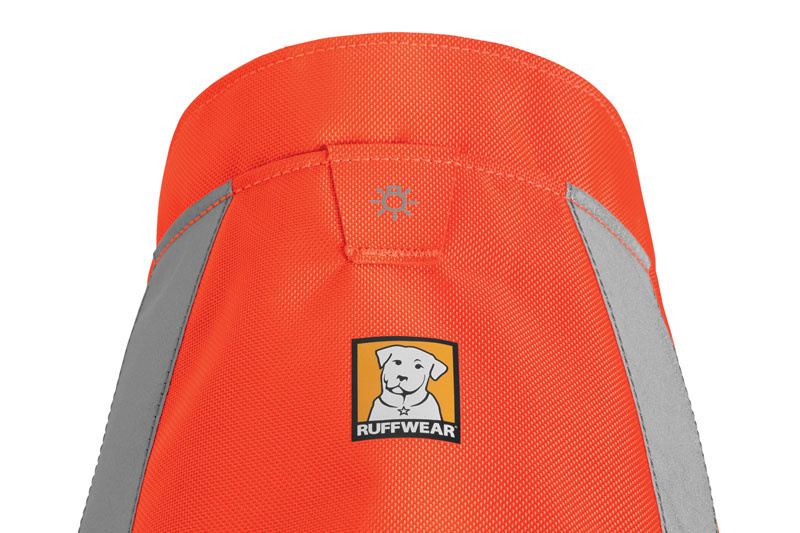 The re-designed Ruffwear Track Jacket adds some new features to this high visilbiity jacket that you will appreciate. The streamlined, lightweight design is quick and easy to put on using side-release buckles, so you can get going quickly. 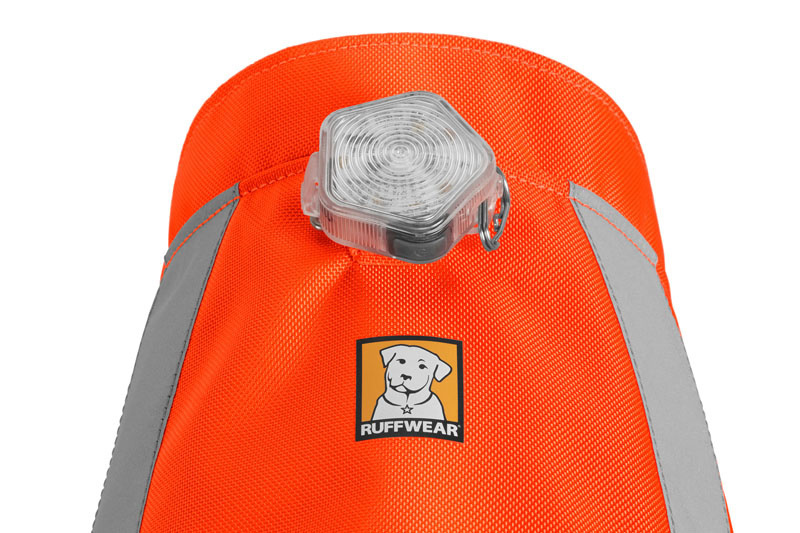 A Light Loop attachment point allow for maximum added visibility when paired with the Ruffwear Beacon. 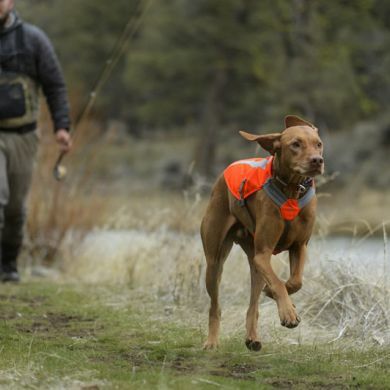 Reflective accent panels along the sides and in the chest martingale enhance visibility on all sides. 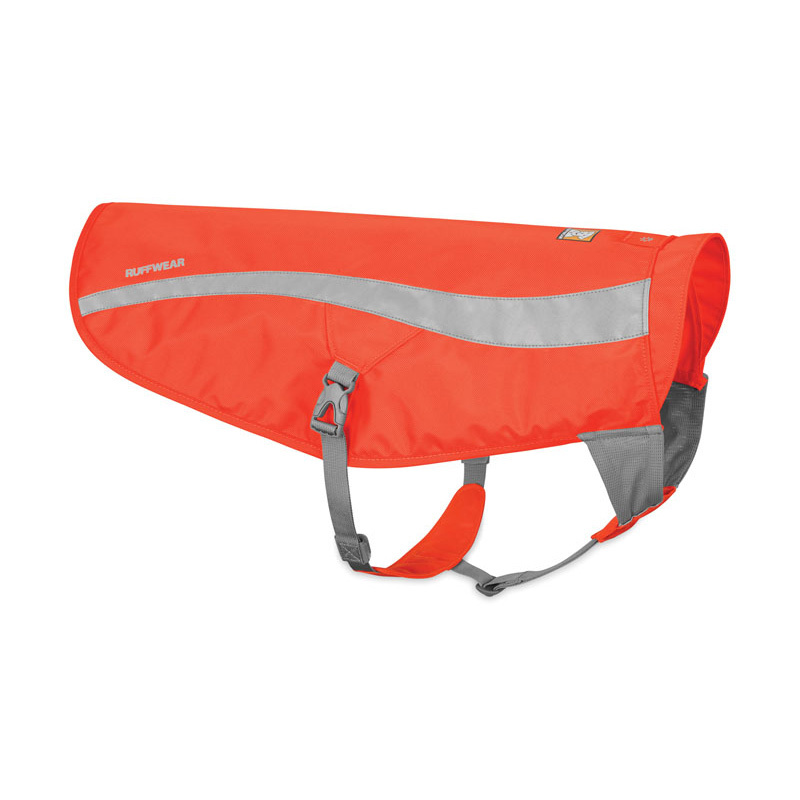 And the durable waterproof fabric keeps the water out. Whether you're camping, hiking, running, or just out for an evening stroll this safety jacket offers ultimate visibility in low-light conditions. 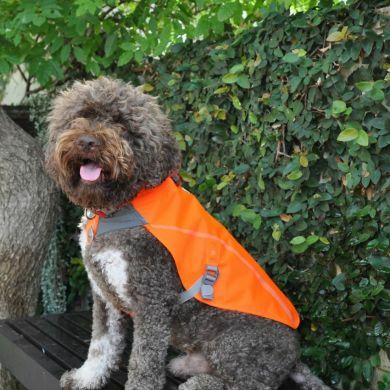 We were really excited when Ruff Wear added this jacket to their range as our dog's safety when playing in the evenings is a top concern. Pluto is very serious about her play and has no time for caution when a ball is in sight. 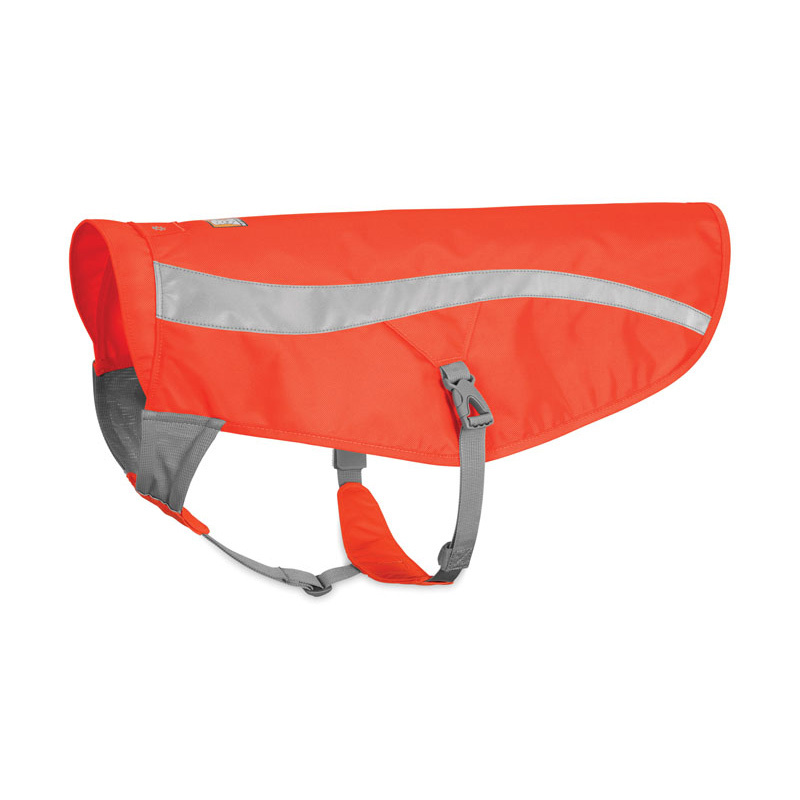 This jacket works extremely well to keep your dog in bright and visible, especially during those early dark winter nights. To ensure a proper fit it's important to measure your dog's girth which is the measurement around widest part of your dog's rib cage. Please refer to the sizing chart. I am pleased with blaze orange Ruffwear jacket I recently purchased as it has greatly improved my visibility of the kelpie that wears it. Size Small/Medium. It appears to be comfortable for him and is standing up to some rough usage in thick bush. At this stage I consider it money well spent. 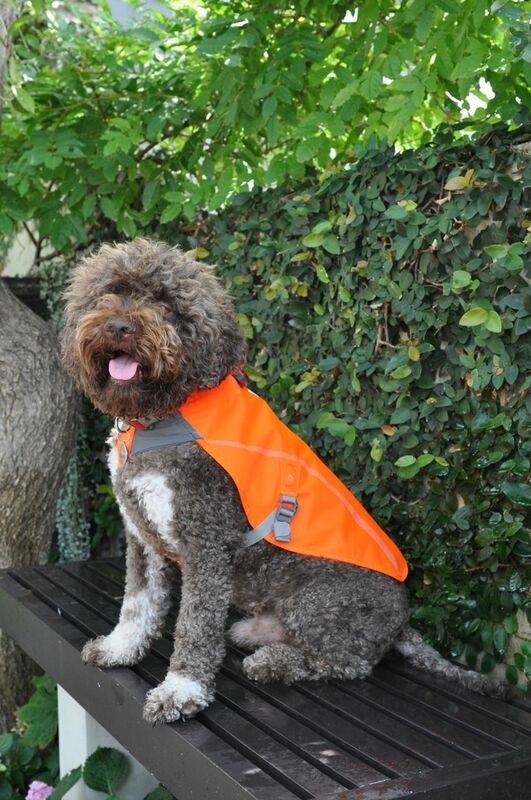 Read 11 customer reviews of Ruffwear Track Jacket. The average customer rating is 4.6. This is an excellent coat that makes my brindle staffy wonderfully visible even on the murkiest nights. 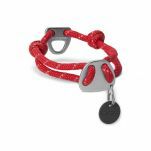 Easy to take on and off, once you get used to the clips and lightweight and flexible enough to stand up to the rough play routines my dog likes to put it through. Doesn't twist up or get tangled. Great product and does what i wanted it to do . We can now see our 16.5 year old Chihuahua when she goes exploring around our property . Sadly the clips are a pain to attach and unattach . Maybe clip together ones would be better. This is relatively easy to fit, though the clasps take a little practice. 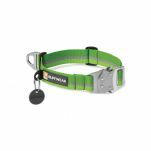 Once fitted to the dog, it is secure and certainly stands out. We do horse rides at night and this is just great, it doesn't twist around, stays secure and is bright in a light beam. 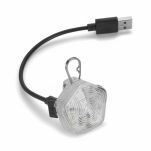 It perfectly complements the flashing light that clips on the back. I have been seeking something this good for some time. In the dark, travelling at speed along first trails and dirt roads it is great to know exactly where Blaez is and to feel safe if a car should happen along that they see him. I am really happy with the coat, it is light and cool, easy to get on and off and a great fit. "Lucy" is ready to go to the Gravel Quarry with the boys, she is compliant, cool and safe. Great service, the coat arrived in two days. Outstanding quality, very durable, easy to put on and looks great. Very breathable so can be left on for long periods of time. Love this product so much that I'm considering another purchase in a different colour! Great quality product, arrived exactly as described in great time- could not be happier with the quality and service provided.. Will be shopping again for sure. The large we got fit our Lab perfectly. 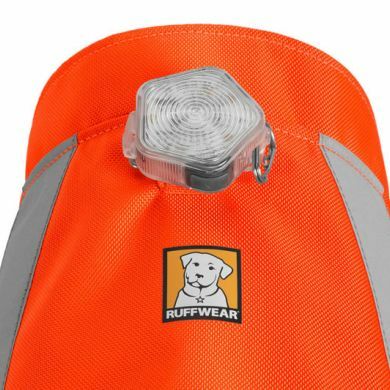 This is an excellent product which keeps our working dogs safe and visible while mustering cattle on the road. 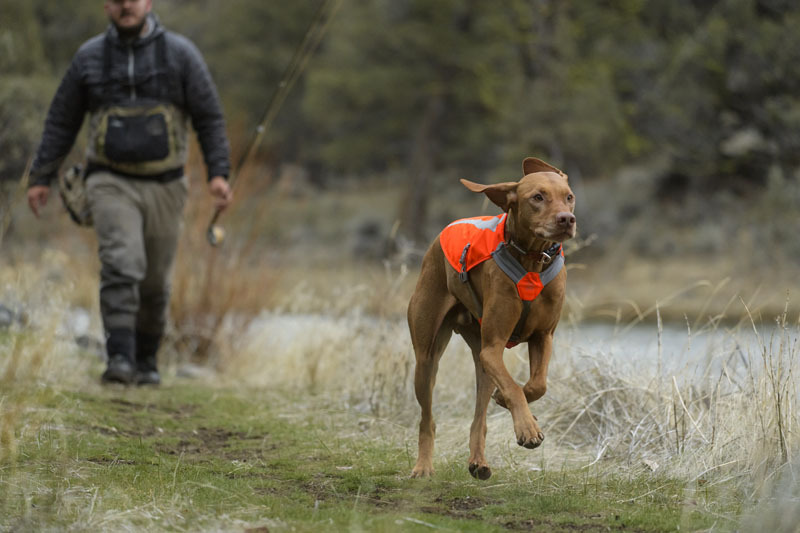 They are hard-wearing and easy to get on and off the dogs with just the right amount of coverage so the dogs remain cool when working hard. 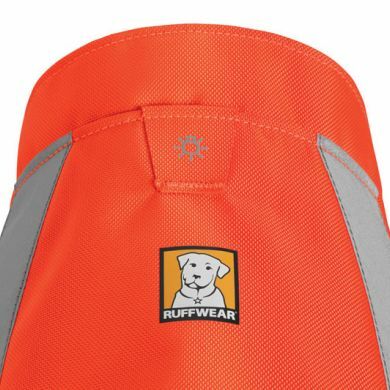 We now own four Ruffwear Track Jackets which cater for our varying sizes of working dogs.